Next Article What Is Southwest Early Bird Check-In® & Do I Really Need It? If you’re looking for a way to earn lots of points to redeem for some amazing travel, you can’t go wrong with American Express Membership Rewards credit cards. Amex provides a number of ways to earn Membership Rewards points and plenty of fun ways to redeem them for some great flights. In this post, we’ll show you all of the American Express transfer partners, how to transfer Membership Rewards to these partners, and much more. With this guide in hand, you’ll be ready to book some amazing vacations! Should You Transfer or Book Through Amex? American Express provides tons of opportunities to earn Membership Rewards points. Pick the card or combination of cards that will help you earn the most points and get the benefits that matter to you. A fun and easy way to boost your earning potential is to maximize Amex Offers, which grant additional Membership Rewards for your purchases at select merchants. The American Express Membership Rewards program has 17 airline transfer partners. Make sure you check the transfer rate (see below) since not all transfers are done at a 1:1 ratio. Membership Rewards can also be transferred to 3 hotel rewards programs. Like American Express airline partners, transfer ratios vary (see below), so make sure you check them before transferring. Hot Tip: Use our transfer partner tool to see how many points you’ll get when you transfer your Amex Membership Rewards to their partner airlines and hotels! With some Membership Rewards points in your account, it’s time to decide where you want to transfer your points so you can start traveling. Here are the simple steps to make the transfer process easy. Step 1: Select “Travel” from the menu. Step 2: Select “Get Started” to head over to your transfer partner options. Step 3: Choose your desired airline or hotel transfer partner and select “Transfer Points.” If you haven’t already, you will need to link your frequent flyer account to your Membership Rewards account. In this example below, I chose Delta Air Lines. 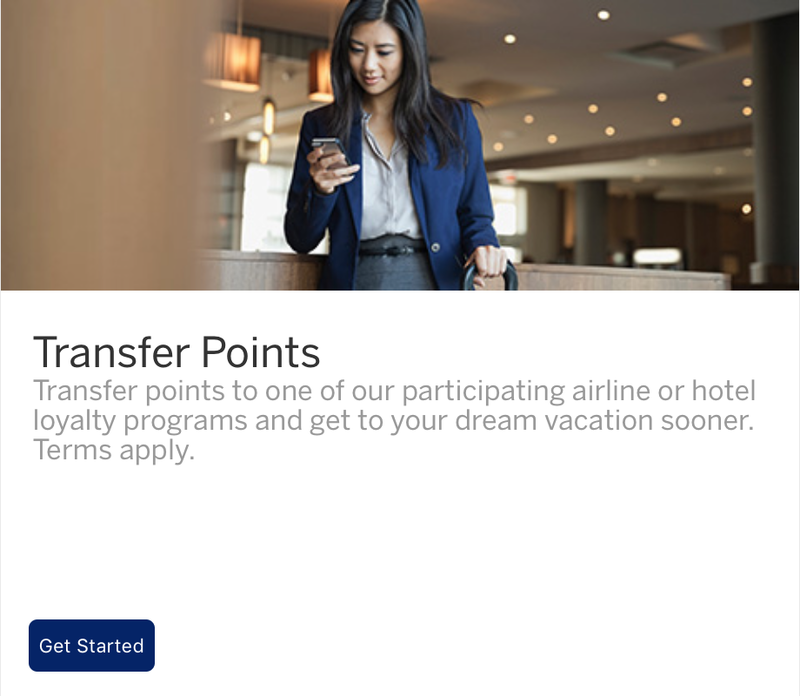 Step 4: Once you have linked your airline or hotel account to your Membership Rewards account, choose how many points you would like to transfer. Transfers must be made in increments of 1,000. Step 5: Confirm the number of points you are transferring and complete the transfer. Step 6: Head over to the appropriate airline or hotel program to book your award flight or award stay. If you’re booking economy flights or hotels, don’t forget to check out Amex Travel where you can book cash flights with points. Points are generally worth 1 cent each. With The Business Platinum® Card from American Express, each point is worth about 1.54 cents when booking on your preselected airline. The boost is applied in the form of a 35% rebate, so you’ll still need the total points in your account at the time of booking. Let’s check out an example (below). If you have The Business Platinum® Card from American Express and Delta Air Lines is your selected airline, this booking will cost 69,996 Membership Rewards points initially. Once the rebate is applied, American Express will return 24,498 Membership Rewards to your account, which means this booking would actually cost you 45,497 points. You might have noticed in the example above that the booking is a Membership Rewards Insider Fare. This can make your bookings through Amex Travel even more valuable, since American Express sometimes discounts flights if you pay entirely with points. Consider the flights we discussed above. Booking this itinerary through Amex Travel costs 45,497 Membership Rewards points, and the booking still earns Delta SkyMiles as a paid fare rather than an award ticket. If you were to transfer Membership Rewards to Delta and book this same itinerary as an award ticket, you would have to transfer 60,000 points to your SkyMiles account to book it. In this case, booking through the portal would be a much better deal. This is clearly a time to book through Amex Travel rather than transferring points. To ensure you get the most out of your points every time, it’s important to check both the portal and transfer options when booking economy class. Amex Travel also allows you to book hotels at the same 1 cent per point. This rate is the same regardless of which card you hold. You can also redeem your points for gift cards to merchants like Nike, Saks Fifth Avenue, Walmart, or Amazon, or use your points to shop for items from the Membership Rewards site. Unfortunately, these are generally terrible uses of your hard-earned Membership Rewards points. To get the most value out of them, stick with travel redemptions! If you have multiple cards that earn Membership Rewards, they can each be linked to the same account so your points will automatically collect in one place. Generally, when you apply for a new card that earns Membership Rewards points, it will automatically be linked to your account. One downside is that points cannot be transferred to your spouse or significant other’s Membership Rewards account. However, you can transfer points to a frequent flyer program owned by any authorized users on your account. While this isn’t a perfect solution, it still allows you to help friends and family book award flights. Using your Membership Rewards points for travel is clearly the best way to use your points. With over 10 airline transfer partners and tons of ways to redeem your points, it’s almost overwhelming! To make the process a bit easier, we’ve compiled a list of the best ways to redeem your Membership Rewards for some amazing travel experiences. American Express Membership Rewards points are tremendously useful if you want to travel. 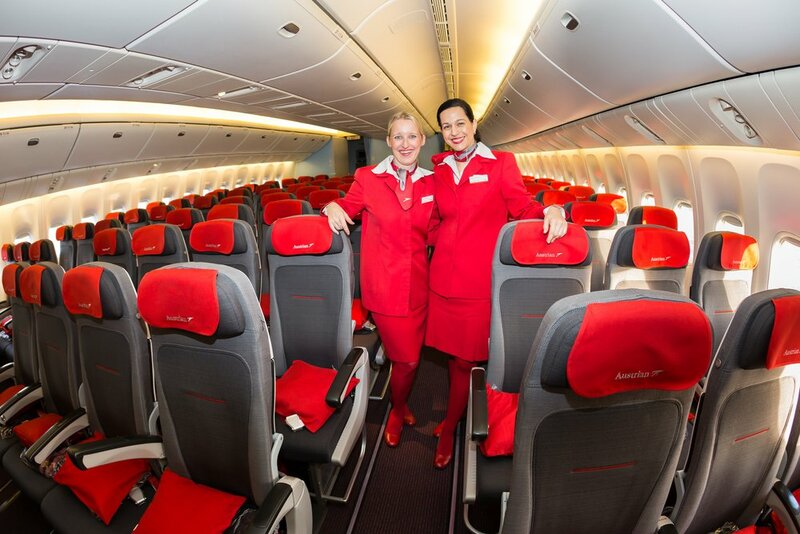 With so many ways to earn and redeem points, you can book award flights to just about anywhere in the world! What Is Southwest Early Bird Check-In® & Do I Really Need It?